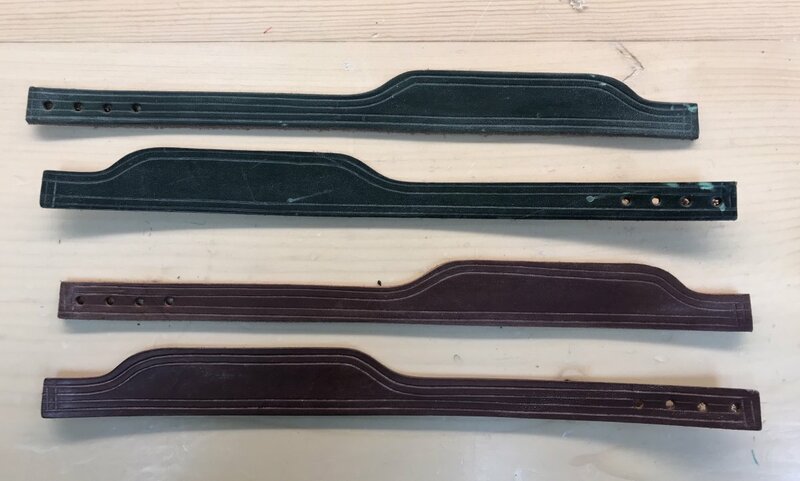 Where can I buy a set of hand straps appropriate for an old Lachenal anglo? I have not been involved in concertina world for a while. Button Box doesn't seem to show any. Concertina Connection has some but click on buy is a dead end. Ebay is dubious. Can someone recommend a quality source? I'm used to what I had on a Dipper restored Jeffries. If in the U.K., send one the old straps to (for example) Nigel Sture at Concertinas U.K. and he will use it as a template to cut new straps. I'm in Florida, USA. The instrument has no straps on it. I'll make some from alligator if necessary but I hoped something more or less standard that works with the known makers typical arrangement would be available. I can modify as necessary. I'm in Florida, USA. The instrument has no straps on it. Ah! that's a slight problem. Have a look at this list and see if any of the outfits listed there might be able to help. (https://concertina-spares.com/) seem to do 'em 'off the shelf'. Good leads there, thank you. Let me know if you still need some.........I have some I have no need of that I was gifted and can send you. No cost to you but send the shipping to Paul who graciously runs this show !